This year’s Star Wars Celebration will take place in Orlando (good news for those of you who couldn’t make it across the pond last year), and as it’s the 40th anniversary of the iconic franchise, you can expect some pretty major things. 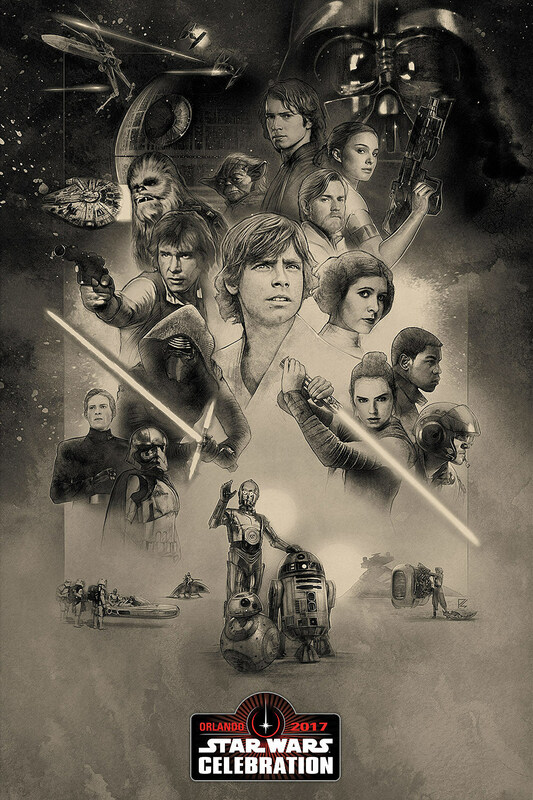 While we wait to learn more about Lucasfilm’s plans for the 2017 convention, the studio has unveiled a beautiful new poster along with a few details regarding the first panel of the year. Star Wars Celebration kicks off on April 13 in Orlando, Florida, and will officially commence with a 40th anniversary panel led by Lucasfilm president Kathleen Kennedy. She’ll be discussing the franchise’s impact and celebrating its fandom with some of the series’ biggest stars. More details to come, for sure, but until then, the studio has revealed this new poster, which unites three generations of Star Wars — and honestly, for once, Anakin looks like he belongs. Star Wars Celebration will conclude on April 17, and will feature special panels and super-fan events over the course of four nerdy days in a galaxy far, far away. Warwick Jones will reprise his role as panel host, while this year’s guests include Rogue One’s Felicity Jones, Ian McDiarmid (aka Emperor Palpatine) and Jeremy Bulloch (aka Boba Fett). We’ll keep you posted as more guests, panelists and events are announced.